Original Bass Guitar Lines in tablature and notation. Theory and technique tips for each Bass line. Scale Diagrams included. Every Bass line has a Video at full speed and Audio at full & half speed and there are backing tracks with slower practise versions. 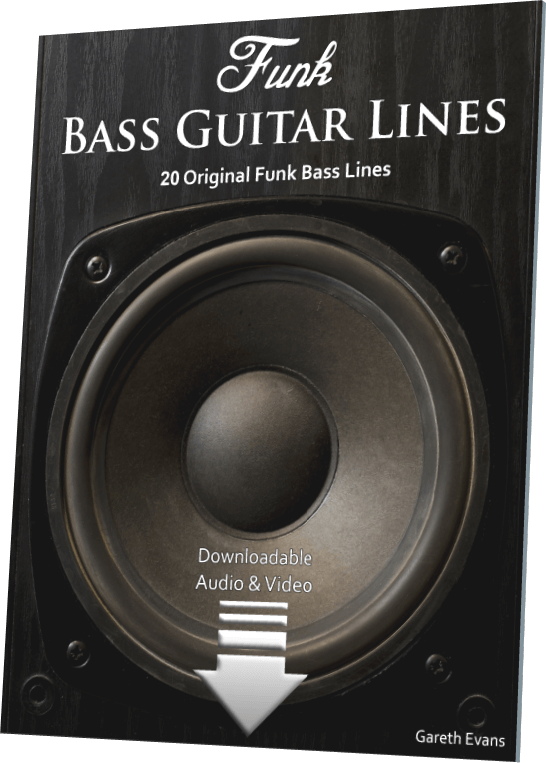 20 original Funk Bass Guitar lines for the intermediate to advanced bassist, plus an extra bonus Bass line. 89 bars of music over 21 Bass lines (average Bass line length 4.2 bars). 15 original Walking Bass Guitar lines for the intermediate to advanced bassist. 176 bars of music over 15 Bass lines (average Bass line length 11.7 bars). Each Bass line includes an interval analysis of all of its notes and theory explanations of various approaches to chord changes.